The Internet is a major part of our lives, and we use it on daily basis. 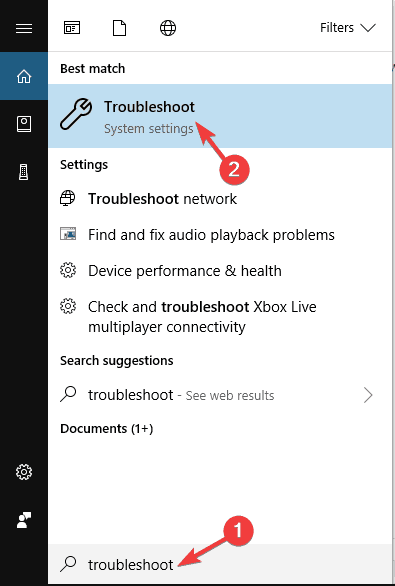 Unfortunately, problems with Internet connection can occur, and users reported A network cable is not properly plugged in or may be broken error message on Windows 10. “A network cable is not properly plugged in or may be broken” error, how to fix it? A network cable is not properly plugged in or may be broken Lenovo, HP laptop, Acer, Sony Vaio, Asus, Toshiba – This problem can appear any device, and users reported this issue on almost every laptop brand. If you’re having this problem, you might be able to fix it using one of our solutions. A network cable is not properly plugged in or may be broken Windows 7, 8.1 – This error can also appear on any version of Windows, but even if you don’t use Windows 10, you should be able to apply most of our solutions to Windows 8.1 and 7. 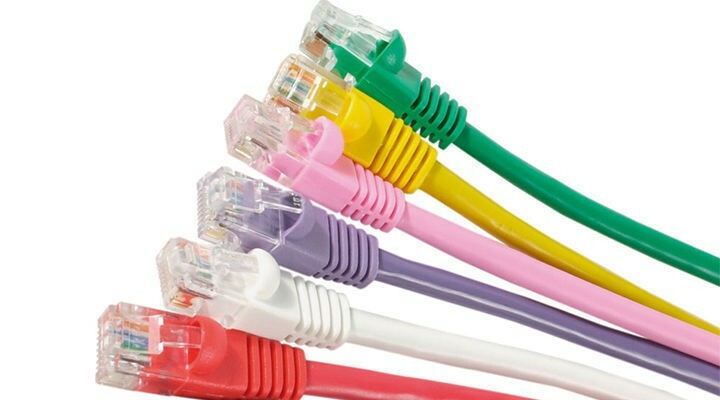 Wireless capability is turned off a network cable is not properly plugged in – This is a variation of the main error, but you can fix it simply by changing your network configuration settings. A network cable is unplugged – Sometimes you might get this error message on your PC. If that happens, be sure to reinstall your network adapter and check if that solves the issue. 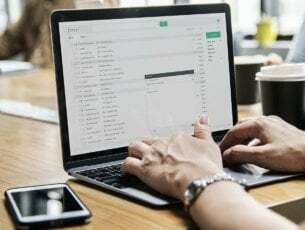 Sometimes your antivirus tool can interfere with your network connection and cause A network cable is not properly plugged in or may be broken error to appear. To fix this problem, check your antivirus configuration and try to disable your firewall or other features temporarily. If that doesn’t help, you might have to uninstall your antivirus. If removing the antivirus solves the problem, we would encourage you to switch to a different antivirus solution. 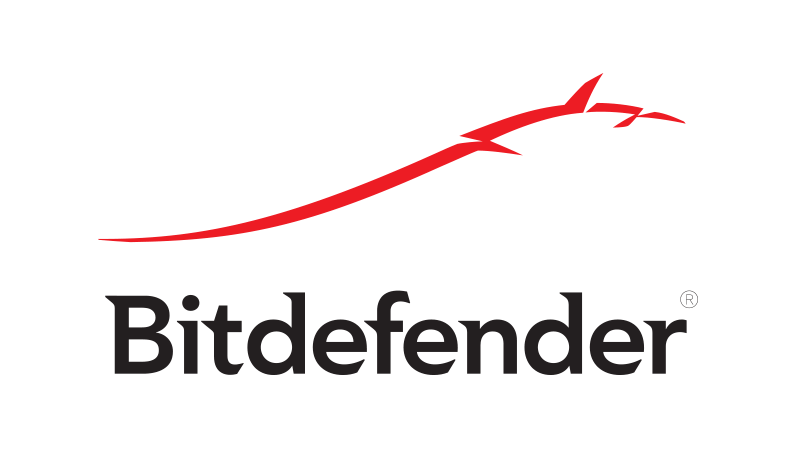 There are many great antivirus tools available on the market, but the best are BullGuard, Bitdefender, and Panda Antivirus. All these tools offer great protection, and they are fully compatible with Windows 10, so feel free to try any of them. This issue can appear if the network adapter doesn’t have the necessary drivers installed, but you can easily fix that by installing the drivers from the CD that you got with your network adapter. Alternatively, you can also download the drivers directly from the manufacturer if you wish to do so. Usually, the manufacturer will have the latest drivers, so it might be better to you use them instead. Updating drivers manually is very annoying and can permanently damage your PC (by downloading the wrong driver versions), so we recommend you to download TweakBit’s driver updater tool (100% safe and tested by us) to do it automatically. This tool is approved by Microsoft and Norton Antivirus. 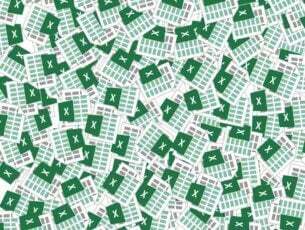 After several tests, our team concluded that this is the best-automatized solution. Few users reported that you can fix this problem on your laptop by unplugging all cables. After disconnecting all cables and devices, remove your laptop’s battery and leave your laptop for a while. After turning your laptop back on, the network issues should be fixed. On many laptops you have to turn on the wireless adapter by pressing the wireless button or by using the keyboard shortcut. If this problem appears on your PC, be sure that Wi-Fi is enabled on your laptop. To enable Wi-Fi just use the Fn+F5 shortcut or press the Wi-Fi button on your laptop. 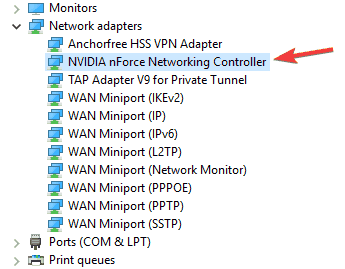 Locate your network adapter, right-click it and choose Uninstall device. After you uninstall the driver, restart your PC. Windows 10 will automatically install the default driver, and you can continue using it if it works for you. If you have issues with the default driver, we suggest that you download and install the latest drivers for your network adapter. Few users reported that this issue was caused because the network adapter was disabled in BIOS. To fix this problem, you need to enter BIOS and check if your network adapter is enabled. For more details on how to enter BIOS and how to enable the network adapter, be sure to check your motherboard manual. If this problem still occurs, you might want to replace your Ethernet cable. Before purchasing a new cable, you should test the same cable on a different PC to see if it works. If the problem occurs on two or more different devices, be sure to replace your cable. In some cases, this error can appear if your router configuration isn’t correct, and in order to fix this problem we advise you to restart your router. To do that, just turn the router off and turn it back on and check if the problem appears again. If the issue still persists, you might have to reset your router. To see how to properly reset your router be sure to check your router’s instruction manual. 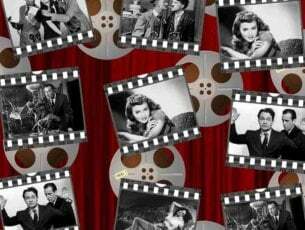 List of available troubleshooters will appear. 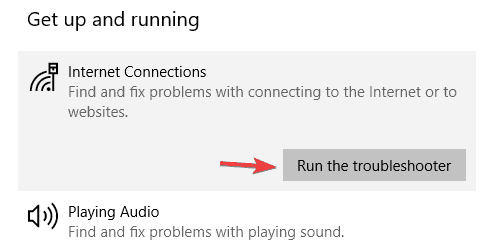 Select Internet Connections and click Run the troubleshooter button. Once the troubleshooter is finished, check if the problem is resolved. If this troubleshooter can’t fix the problem, you can also try running Hardware and Devices, Incoming Connections, and Network Adapter troubleshooters. According to users, sometimes A network cable is not properly plugged in or may be broken error can appear if your network adapter isn’t working properly. According to users, they managed to fix the problem simply by replacing their wireless adapter, so be sure to try that. If you’re not tech-savvy, you can also purchase a wireless USB adapter and check if that solves your problem. Keep in mind that hardware replacement should be your last solution, so we strongly advise to try all of our solutions before you decide to purchase a new Wi-Fi adapter. 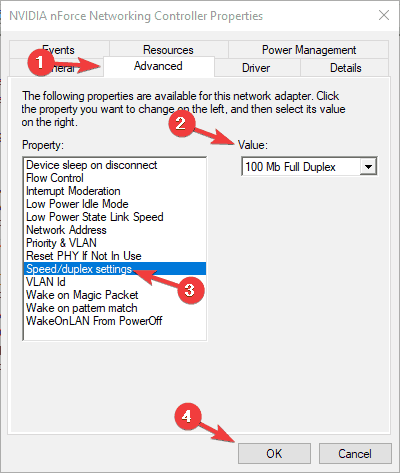 Open Device Manager and double-click your network adapter. Go to the Advanced tab and select Speed/duplex settings. Now change the Value from Auto Negotiation to 100Mb Full Duplex or 1Gb Full Duplex. After doing that, click OK to save changes. Auto Negotiation is the best and default option, but if this doesn’t work for you, you might want to try using different duplex values. With some older network adapters you might have to use some other available value, so feel free to try other values as well. 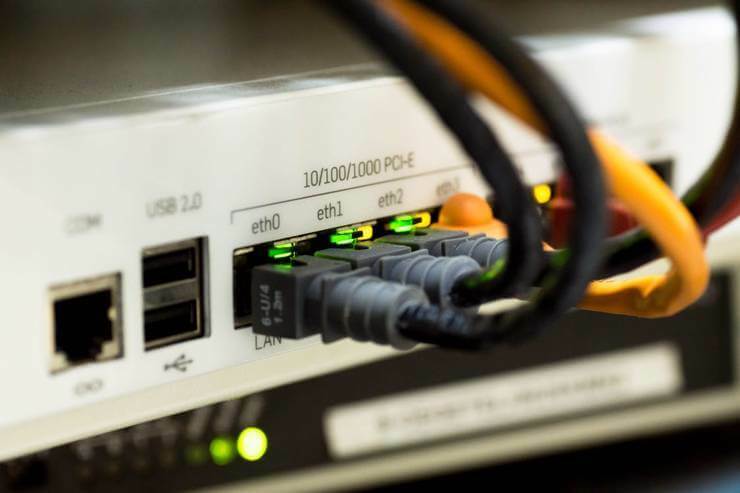 A network cable is not properly plugged in or may be broken error can be troublesome, but you can usually fix this problem by updating your drivers or by changing your network settings.